Five ways to improve your odds of being right and mitigating the risk of being wrong. We have all seen them. They are the CIOs that always appear confident in their views and decisions. They always seem to believe they are right. These individuals are often perceived as having big egos or casting a shadow of entitlement over others to move their agendas forward. Consider, however, that this behavior may simply be a means of influencing people to improve the odds that they are right. What might not be so apparent is that most of the time these folks know that they are not always right, and therefore have taken steps to improve the odds they are right, or reduce the impact if they are wrong. So what is the secret? How can you stand in front of others with the confidence that you are right, but know you are not always right? The first step is to understand the math. Consider how if you make a sufficiently informed decision, then there will typically be a high probability that you are right on any single decision. It is also correct to state that if you make enough decisions there is a very high probability that you are going to be wrong on some of them. 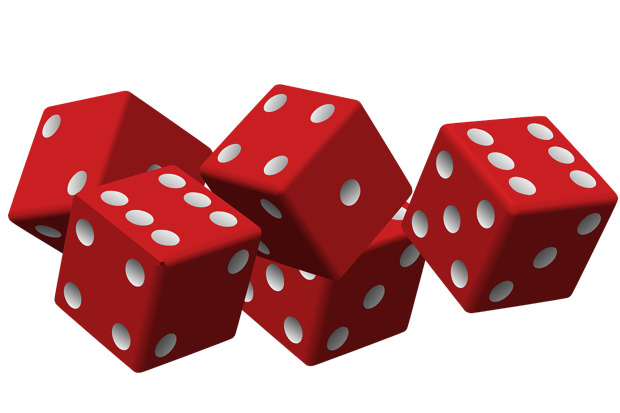 Let’s look at a simple example of betting on the outcome of the throwing of dice. Given the chance to bet a dollar and win a dollar that snake eyes will not come up on a single roll is a good bet. The odds of getting two 1’s to come up on a single roll are approximately 3%. This means that you would have a 97% chance of being right. However, taking the bet that you can roll the dice 100 times and not get snake eyes is not advisable. The math shows that there is about a 5% chance of you winning that bet. So in this example you can have the confidence that your bet is right, but you know that you are not likely to be always right. In the world of CIO, contingency budget planning is simply an assessment of the expected frequency of wrong decisions and the expected value of the cost of being wrong for each decision. Contingency = (the # of times expected to be wrong) * (expected cost of any decision being wrong). There is something to be said at this point regarding the concept of cascading wrongs and recognizing that all decisions are not created equal. Statistical tools like Monte Carlo simulations can be used to increase the confidence is establishing contingency, however, I will leave that discussion for another time. So CIOs are best served to focus on working to both improve the odds they are right as well as properly prepare for those inevitable times when they will be wrong. Leaders can do this by building a team of seasoned talent that possesses situational awareness and combining this with state-of-the-art decision making tools supported by fresh and accurate data. (Disclosure: The referenced article is something I wrote for UpperEdge's site. I am employed at UpperEdge.) Most importantly, for those decisions that have a long and lasting impact on the organization, leaders will be best served by providing significant lead time. Lead time or runway to provide opportunity to iterate on complex and messy decisions. Underestimating “soak” time for the executive teams to come to grips with the implications of a major decision can lead to future trips to the board room as the second guessers emerge. Yogi Berra once said “if you come to a fork in the road – take it”. What Yogi apparently clearly understood is that leaders cannot become paralyzed when presented with the need to make a decision. To prepare for these forks in the road, leaders need to anticipate the fork and then consider the circumstances under which they would take each path. By taking the time to anticipate what they can be presented with, leaders will be in the best position to make quick and well informed decisions. Never waste an opportunity to capture additional contingency. For every time you are wrong, there are likely to be times when you are wildly right. In these circumstances, it is important to quickly capture the savings of this good fortune. These savings can then be drawn upon as a buffer to support the potential impact of more wrong decisions and still allow the leader to be right in the end. This can be accomplished by putting in place solid risk management practices and combining this with creating the atmosphere of “right”. Creating the atmosphere of right is the art of exuding confidence in your decisions in all directions upward, downwards, and with your peers in the organization. One important aspect of creating the atmosphere of right is to assure your team that you have their backs, and no “after the fact scape goats” will be identified to take the fall for a bad decision. On the eve of big “go-lives” I would often tell our team that there are three big things that are going to go wrong. I don’t know what they are yet, but I have the confidence in the team that they will be able to identify creative ways to get back on track. Learning to adapt to the unexpected takes practice. One thing that I coach project teams on is that practicing a go-live is not to be sure that you get it right, but rather to gain the confidence that you have the ability to respond when something goes wrong. High performing CIOs don’t get there by doubting themselves. They understand that high quality decisions made in a timely manner are crucial to achieving and exceeding the goals of the organization. These leaders also understand that they will be wrong about somethings and recognize that when these events occur they will be prepared to be wrong.